world there is no room for followers. But there is plenty of room for leaders. Learn How to Beat Your Competition! Competition is intense, and if you don’t take a leadership role in producing results for your clients, someone else will. 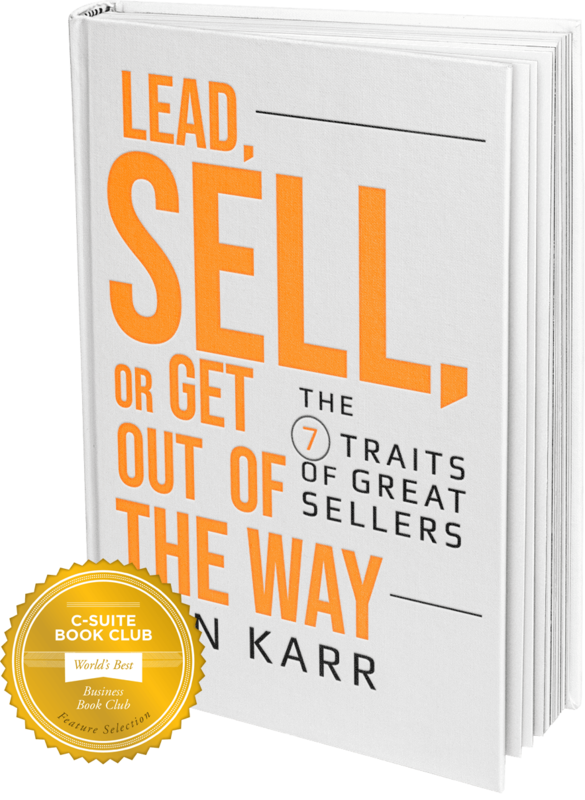 In Lead, Sell, or Get Out of the Way, Ron Karr outlines a repeatable process based on the powerful idea that great sellers lead relationships in the same way that great leaders sell ideas. No matter what you sell, you must communicate persuasively and effectively what it is you can offer clients. However, sales leaders do even more than that. They raise the bar by finding new opportunities and creating new levels of performance for their customers. They don’t just sell products or services; they sell outcomes that transform a customer’s world, and they assume personal responsibility for those outcomers. to Karr’s proven leadership selling process.